Updated 5 March 2019: Gov. Bill Lee on March 4, 2019, briefed reporters on his proposed FY20 budget, calling, among other things, for increased SBIR/STTR match funding for LaunchTN. This story will be updated with details, as warranted. Separately, the Governor delivered his State of the State Address. -Ed. Launch Tennessee, officially Tennessee Technology Development Corporation (TTDC), recently released identities of a dozen recipients of grants in the State-funded annual SBIR/STTR Matching Grants program. 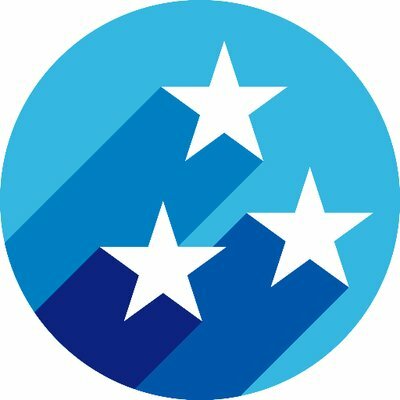 With the assistance of LaunchTN staff, Venture Nashville this week compiled the directory below of 24 firms that have won matching grants since additional funding was secured for the program, largely as a result of efforts of Launch Tennessee and its Bio counterpart, Life Science Tennessee. A week ago, Sarah Pruneski, a spokesperson for Life Science Tennessee, told VNC that in addition to monitoring General Assembly bills for life-science industry impact, LifeSciTN will focus on the inherent "value of our industry in developing life-saving drugs and therapies and support for innovation, including continued support for the SBIR/STTR matching program." LaunchTN CEO Margaret Dolan said in a related press release, "As Tennesseans, we should be proud that so many promising businesses were awarded SBIR/STTR grants through a highly competitive process. We are pleased to offer this grant-matching program in Tennessee, which increases the amount of funding entrepreneurs are awarded, and positions them for greater success as they commercialize their products." LaunchTN, a public-private partnership, is primarily sponsored via the Tennessee Department of Economic and Community Development, the Commissioner of which, Bob Rolfe, chairs the LaunchTN board of directors. For more on the Federal SBIR/STTR program click here. For more details on the State of Tennessee's SBIR/STTR program, click here.